As a 24 hour emergency response organisation, the VICSES is frequently called upon to provide support function at night. The need for ‘daylight like’ lighting for extended periods is a common requirement. This can be the case with search and rescue operations, incident staging areas, crime scenes and major road accidents. The fleet of lighting towers needs to fulfill key criteria. These include powerful lighting capability, mobility, reliability, ease of operation, the ability to operate for extended periods and ease of set up and operation. Above all else, the units need to be rugged to withstand constant travel and deployment. 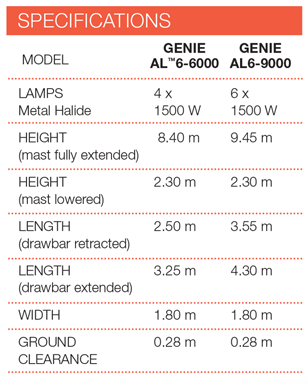 The Genie AL6-6000 light tower has proven to be the ideal unit for the task. 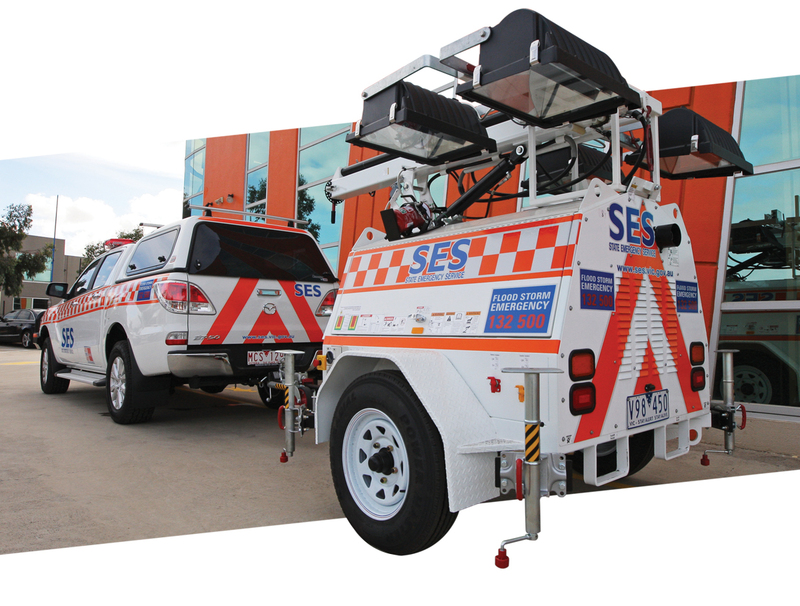 “We have had a very positive experience with the light towers over the past three to four years,” said Chris Myers, Asset Project Manager of the VICSES. Apart from the general performance and rugged construction of the Genie AL6- 6000 light tower, the retractable drawbar is a welcome feature of these units. Storage space is often at a premium in SES Unit Headquarters, so by effectively making the lighting tower shorter, storage is greatly enhanced. The VICSES is the designated control agency for flood, storm and earthquake, managing responses in these emergencies. The VICSES also has a mandate to assist the Victoria Police in search and rescue operations as well as playing an important support role in major bushfire responses. The five Genie lighting towers were purchased by the VICSES under the Volunteer Emergency Service Equipment Program. This involves government funding being provided on a $2 for every $1 contributed by the VICSES branch.